Seek our collision repair if you've been in an accident! 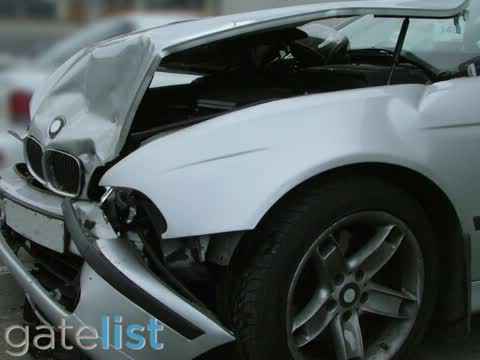 Were you recently in an accident and are now in need of collision repair? Was the accident minor and you only need dent repair? When you're looking for an auto body shop in San Mateo, choose one with integrity and reliability. Choose Paramount Collision Specialists: The best body shop for collision repair in San Mateo! At Paramount Collision Specialists, our top priority as a body shop is restoring your car – and your life – back to normal after you’ve been in a car accident. Since 1994, we have been San Mateo’s trusted auto body repair specialists. Our high quality, reliable service is something you can count on for any dent repair, bumper repair, auto body paint repair and general collision repair. Approved by most insurance companies, our auto body shop has highly trained on-site technicians and a state-of-the-art 11,000-square-foot indoor facility with a large and secure outside lot. If you’ve been in an accident, call our auto body shop today for a free repair estimate. We’ll walk you through all the details of the repair and explain the steps we’ll take to get your car back to pre-accident condition. Call the professionals at Paramount Collision Specialist today if you would like more information about the services we offer (650) 376-0763! We can help you with any of your collision repair & dent repair services in the San Mateo area! Count On Us for All Your Auto Body Paint and Bumper Repair Needs! After a serious collision, the necessary repairs to regain a safe, functioning vehicle can be extremely costly. Even simply touch ups like auto body paint or small dent repair can rack up a hefty bill. Out auto body shop doesn't want you to suffer financially because of an accident or accidental damages. As one of San Mateo’s most trusted collision repair center, we offer all the services you need to get your car back on the road looking good as new. We provide quality bumper repair and fender replacement services. We are fully equipped to fix all auto bumpers at an attractive discount. You will not find lower prices in San Mateo for auto bumper repair when you visit Paramount Collision Specialist. Our expert technicians have the training, experience, and expertise to provide quality repairs on your vehicle while making sure that your vehicles interior and exterior is well protected while we are at work. We use the Genesis 2 Frame Measurement System to detect misalignments, and offer dent repair and bumper repair services to restore the vehicle to its proper structural alignment. We only use the highest quality PPG auto body paints to ensure optimum gloss and durability. Colors are mixed by factory computer codes and then custom tinted by a trained auto technician to match your vehicle’s specific color. We are also now proud to use environmentally friendly water based paint. With our auto body paint technicians and the high quality equipment and products we utilize, your vehicle will leave our auto body shop looking brand new -- or better! From simple scratches to larger repairs, we can remedy any exterior paint issue! We give each customer a detailed written warranty covering services performed on the car. We strive for total customer service and work hard to earn and keep your business. We also offer a number of services that make restoring your car easier such as towing, arranging car rental, and secure on-site vehicle storage and local pickup & delivery. • The Inter-Industry Conference on Auto Collision Repair (I-CAR) is a not-for-profit international training organization that was founded in 1979. It is dedicated to improving the quality, safety and efficiency of auto collision repair. • California Autobody Association (CAA). An association of automobile body repair and paint shops - independents, dealers and material suppliers - joined together to continuously improve the industry to better serve the motoring public. • Society of Collision Repair Specialists (SCRS) is an association of auto body repair shops and auto body paint shops that fosters greater industry professionalism and excellence. Don't Go Another Day Without Your Vehicle, Visit Our Auto Body Shop Today! Automobile accidents are stressful and frightening situations. Our duty as a respected auto body shop is to help alleviate some of the stress and worry. Our collision repair technicians put forth their best, most precise work every time to ensure your safety, and to restore your vehicle to the same condition as it was before on the interior and exterior. We've seen everything from minor dents to major damage of key car or truck components. No matter the magnitude of your issue, Paramount Collision Specialists will assist you in any way that we can. Visit us today for a free auto body repair estimate. We’ll meet you and learn about the history of your car. Our technicians will then prepare a detailed estimate of what they’ll do to restore your car to pre-accident condition. We take pride in explaining all the details of the repair to our customers. If you’ve been in an accident and your vehicle is out of commission, there is only one place to call. At Paramount Collision Specialist, we can provide you with the collision repair and auto body paint you need to bring your vehicle back to tip top shape! Don't waste another minute without your vehicle, give our technicians a call today. We proudly serve dent repair and other services to the San Mateo area! When you need auto body repair of any type, trust the professionals at Paramount Collision Specialist! Our auto body shop provides, collision repair, dent repair, bumper repair and auto body paint services. We can also assist you with structural realignment services! Our body shop also provides on-site vehicle storage options if your vehicle needs to be put away for a while. We offer local pickup and delivery services, so you don't even have to visit us to get your collision repair services! Contact us today for more information!